From April to November you can listen to the beat of the Horses featuring some of the finest races in the area. In 2009, Vernon Downs Casino Hotel was the home of The Night of Champions bringing in over 2000 people to enjoy the greatest names in racing. Combine that with a casino, daily simulcasting, gaming promotions, good food and an all suite hotel … makes Vernon Downs Casino Hotel a great place to have fun at an affordable price. Vernon Downs Live Racing Post Time 4:30pm. 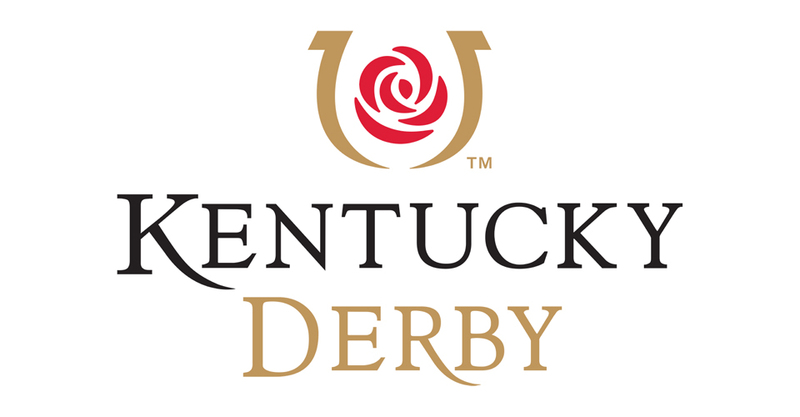 • The winners will each receive a $500 wagering voucher that must be wagered entirely on 1 horse to win the 144th 2019 Kentucky Derby. Vernon Downs management will hold the ticket until after the running of the Kentucky Derby. The contestant will get to keep any pari-mutuel earnings. • Prizes can be picked up at the official promotions table. • Prizes not claimed within (10) minutes will result in drawing another entry out of the designated entry barrel. Winners must be present to collect prize. Prizes are non-transferrable. Winners must be 18 years of age or older and present to win. • Winner must present State/Federal valid photo identification before prize can be claimed. Winner will be allowed ten (10) minutes to obtain identification if on property. If not, the winner will forfeit prize. • The following are ineligible to participate: employees of Tioga/Vernon Downs or any members of their immediate families; Owners, Drivers, Trainers and their agents who currently have horses racing at Tioga/Vernon Downs; Tioga/Vernon Downs agencies, vendors or suppliers and their immediate families; Stable hands and backstretch workers of horses stabled and racing at Tioga/Vernon Downs. • Tioga/Vernon Downs Management has the right to disqualify any entries. • All of these rules and regulations are subject to the sole interpretation of American Racing & Entertainment LLC, Tioga/Vernon Downs, Inc in its sole discretion. Any decisions of Tioga/Vernon Downs Inc., American Racing & Entertainment LLC management with respect to and all of these rules and regulations shall be final and binding on all participants. • All taxes associated with the receipt or use of any prizes is the sole responsibility of the winner. 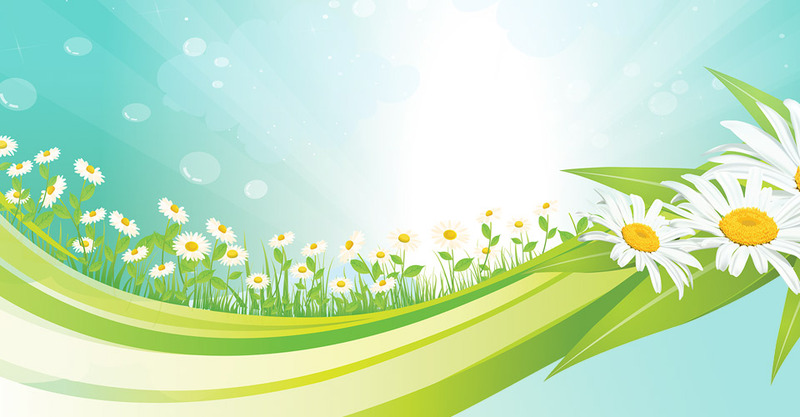 • Judging will be held after Race (4) and will be conducted by members of Vernon Downs Management and audience applause. • Management will determine the finalists from the group of entries and audience applause will determine the winner. • Prizes will be awarded as follows: 1st Place: $500.00, 2nd Place: $200.00, 3rd Place: $100.00. • Any prize money will be awarded at the end of the contest in the form of a wagering voucher. • Prizes not claimed within (10) minutes will result in selecting another winner. Winners must be present to collect prize. Prizes are non-transferrable. Winners must be 18 years of age or older and present to win. • All entrants grant the right to use their name, city of residence, and photograph in order to publicize their winnings. Street address and phone numbers will not be released for publicity. Watch & Wager on The Preakness Stakes live from Pimlico. Vernon Downs live racing Post Time 6:10pm. Enter April 19 – August 31 during live racing. Make a $1 donation and receive a Rubber Horse for your chance to toss and enter to win a 2019 Toyota Corolla Hatchback. Rubber Horses available at the Promotions Tables. Hey kids! Be part of the action. Help collect a rubber horse from the track and redeem for a free ice cream! • Each special numbered rubber horse will be registered to the purchaser and purchaser will be given the rubber horse to throw at the moving. • All rubber horses that are successfully tossed into the car will be placed into a bucket. 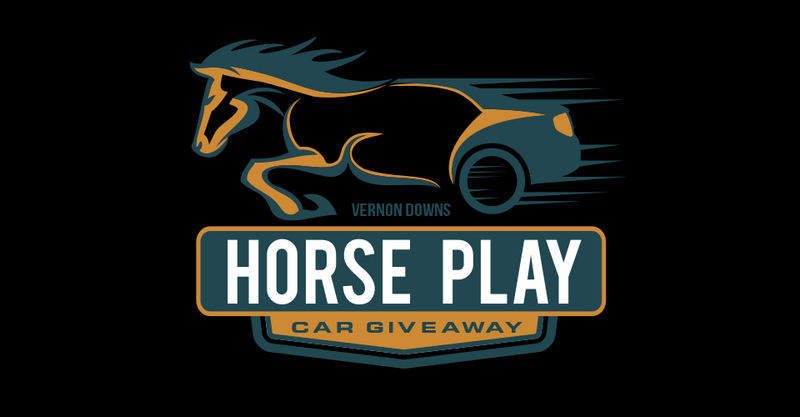 Three rubber horses will be randomly selected and the winning guests will receive a wagering voucher and an entry into the Grand Prize Drawing to win the giveaway car during live racing on Saturday, August 31. 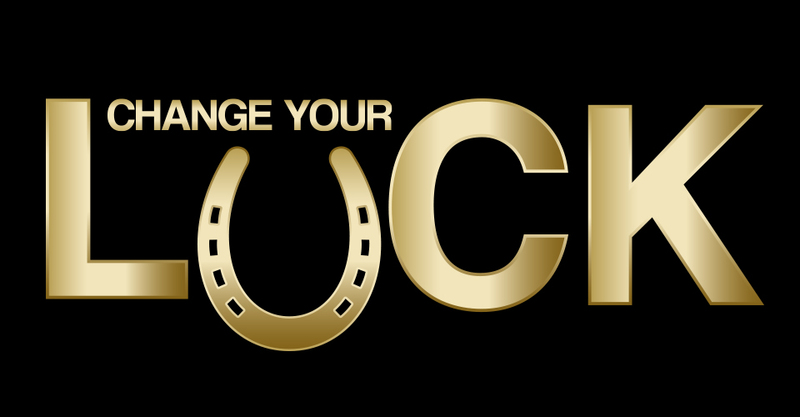 • The 1st rubber horse winning guest will receive $50, the winning guest of the 2nd rubber horse will receive $100, and the winning guest of the 3rd rubber horse will receive $150, all in the form of a wagering voucher. •Guests can only win once per Horseplay promotion. • On Saturday, August 31 following the Horseplay toss, a backwards draw will begin with all of the entries into the Grand Prize drawing. The final entry in the official drawing barrel will win the giveaway car. • Guests must be present to win any prizes, including the grand prize. Entries may not be transferred. • Prizes not claimed within (10) minutes will result in drawing another entry out of the designated entry barrel. During the final backwards draw if the final name drawn out of the designated barrel fails to claim the horseplay car, the 2nd to last entry will be drawn, and so on until a winner is present. Winners must be present to collect prize. Prizes are non-transferrable. Excluded patrons cannot participate in promotion. Winner must present a State/Federal valid photo identification before prize can be claimed. Winner will be allowed ten (10) minutes to obtain identification if on property. If not, the winner will forfeit prize. • The following are ineligible to participate: All Lottery Key License holders and employees of the NY State Gaming Commission, Vernon Downs, Tioga Downs, New York Lottery, Bally Technologies, Spielo, IGT, SDG and/or Multimedia Games and/or any subsidiaries or affiliates, their spouses, siblings, children and/or other dependents living in the same residence; owners, drivers, trainers and their agents who currently have horses racing at Tioga/Vernon Downs; Tioga/Vernon Downs agencies, vendors or suppliers and their immediate families; stable hands and backstretch workers of horses stabled and racing at Tioga/Vernon Downs. • All of these rules and regulations are subject to the sole interpretation of American Racing & Entertainment LLC, Tioga/Vernon Downs, Inc. in its sole discretion. Any decisions of Tioga/Vernon Downs Inc., American Racing & Entertainment LLC management with respect to and all of these rules and regulations shall be final and binding on all participants. • Odds on winning depend on the number of entries. All prizes will be awarded regardless of the number of entries. Prizes are not transferrable and no substitution of prizes is permitted. • By participating in this promotion, participants agree to release and hold harmless Tioga Downs, its parent companies, subsidiaries, affiliates and related entities and their respective entities and their respective directors, officers, employees and agents from and against any claim and/or cause of action arising out of participating this promotion or the receipt or use of any prize from this promotion. • Any valuation of the prize(s) stated awarded in this contest is based on available information provided to Tioga Downs/Vernon Downs from the provider, and the value of any prize awarded to a winner will be reported for tax purposes as required by law. Each winner is solely responsible for reporting and paying any and all applicable taxes related to the prize(s) and paying any expenses associated with any prize which are not specifically provided for in the official rules. Each winner must provide the Company with valid identification and a valid taxpayer identification number or social security number before any prize will be awarded. Any person winning over $600 in prizes from the Company will receive an appropriate IRS form 1099 at the end of the calendar year and a copy of such form will be filed with the IRS. 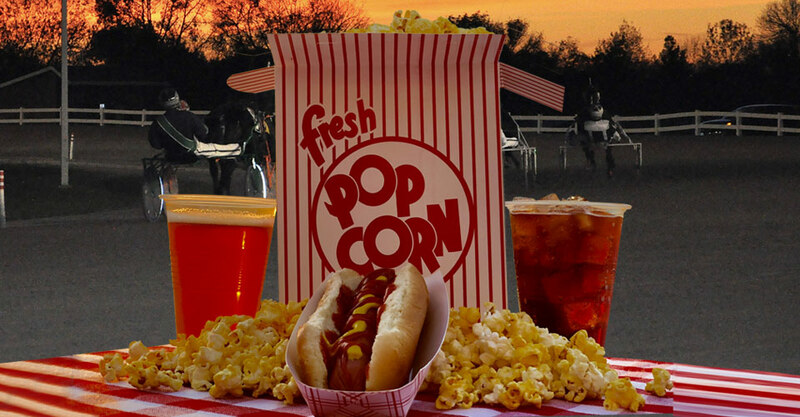 $1 Live Race Programs, $1 Hotdogs, $1 10oz. Drafts, $1 Sodas and $1 Popcorn. Your Non-Winning Race Ticket could win you a $30 Race Wagering Voucher! This is a game of chance. Guests will write their name on all non-winning wagering tickets from the previous Vernon Downs live race and drop into the official entry barrel. Non-winning tickets for wagers totaling less than $1.00 will not be eligible as entries. For example, a single $0.10 superfecta ticket or single $0.50 trifecta ticket will not be eligible as an entry. A ticket must have a total wagering value of $1.00 or more. For example, the first winner will be selected following Race 2 from the non-winning wagering tickets from Race 1. The drawing will be repeated following Races 2-9 for a total of $240.00 in wagers. Following each race, the entry barrel will be emptied to ensure that only tickets from the eligible race are entered. Tickets from races other than the previous race or from tracks other than Vernon Downs will be ineligible for the drawings. It is the responsibility of each guest to place only losing tickets in the entry barrel. Vernon Downs is not responsible for retrieving tickets out of the entry barrel that are not losing tickets. Prizes can be picked up at the official promotions table. Prizes not claimed within (10) minutes will result in drawing another entry out of the designated entry barrel. Winners must be present to collect prize. Prizes are non-transferrable. Winners must be 18 years of age or older and present to win. Excluded patrons cannot participate in promotion. Winner must present State/Federal valid photo identification before prize can be claimed. Winner will be allowed ten (10) minutes to obtain identification if on property. If not, the winner will forfeit prize. The following are ineligible to participate: employees of Tioga/Vernon Downs or any members of their immediate families; Owners, Drivers, Trainers and their agents who currently have horses racing at Tioga/Vernon Downs; Tioga/Vernon Downs agencies, vendors or suppliers and their immediate families; Stable hands and backstretch workers of horses stabled and racing at Tioga/Vernon Downs. Tioga/Vernon Downs Management has the right to disqualify any entries. All of these rules and regulations are subject to the sole interpretation of American Racing & Entertainment LLC, Tioga/Vernon Downs, Inc in its sole discretion. Any decisions of Tioga/Vernon Downs Inc., American Racing & Entertainment LLC management with respect to and all of these rules and regulations shall be final and binding on all participants. Your Chance to Win up to a $250 Wagering voucher! • Guests will submit an entry blank in the official drawing barrel prior to the start of Race 5. • In the event a contestant fails to be present at the designated promotions table within (10) minutes another entry will be drawn out of the designated entry barrel. Winners must be present to collect prize. Prizes are non-transferrable. Winners must be 18 years of age or older and present to win.